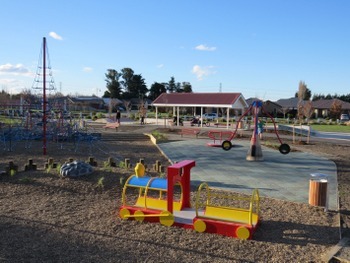 The community park on Stationmasters Way in Prebbleton has a range of areas to suit all age groups including a colourful playground with swings, a large train and a 7.5 metre climbing net. 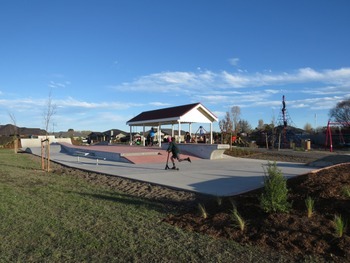 There is also a skate and scooter area, as well as a walking and cycling track. The park has something for everyone. There is a variety of playground equipment including a rotating tire swing called the Rocktopus, and a covered area for winter which also provides shade in the warmer months.